Currently the Alkerton site is due to close in 2017. Oxfordshire County Council propose to extend the life of Alkerton until 22/23, and meanwhile to seek to identify and develop an alternative site to replace both Alkerton and Ardley in 22/23. For further information on the strategy document and consultation process (which is running from 14th July to August 11th) see the Parish Council Noticeboard page. 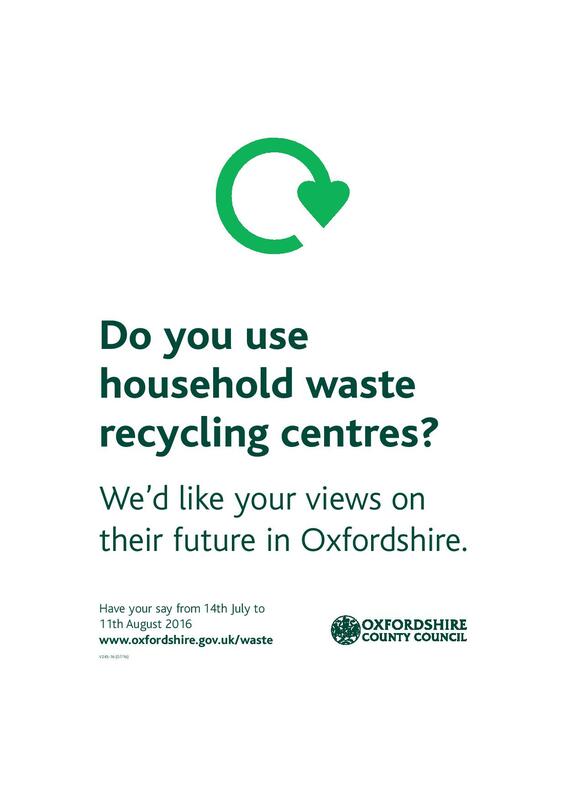 This entry was posted in Posts by Parish Council and tagged household waste, Oxfordshire County Council, recycling centre on July 24, 2016 by thehorleyviews.